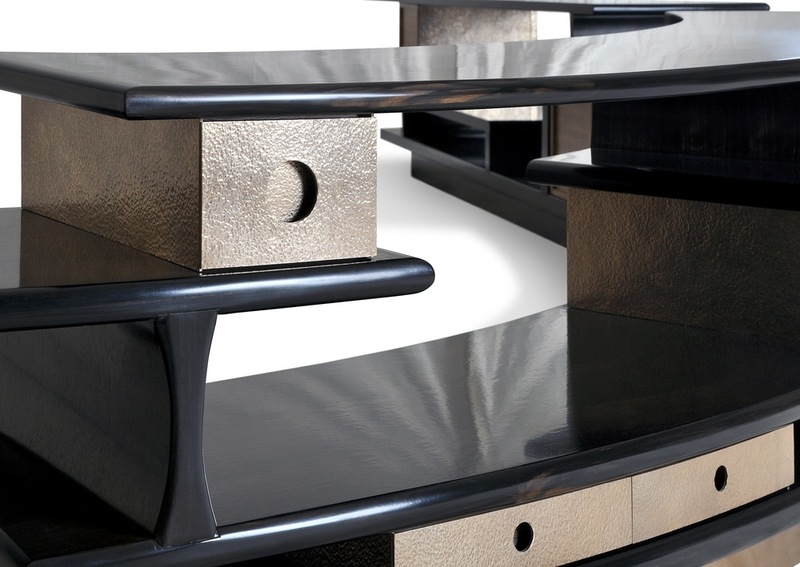 Our studio designed this custom console to wrap around a custom sofa that we also designed. 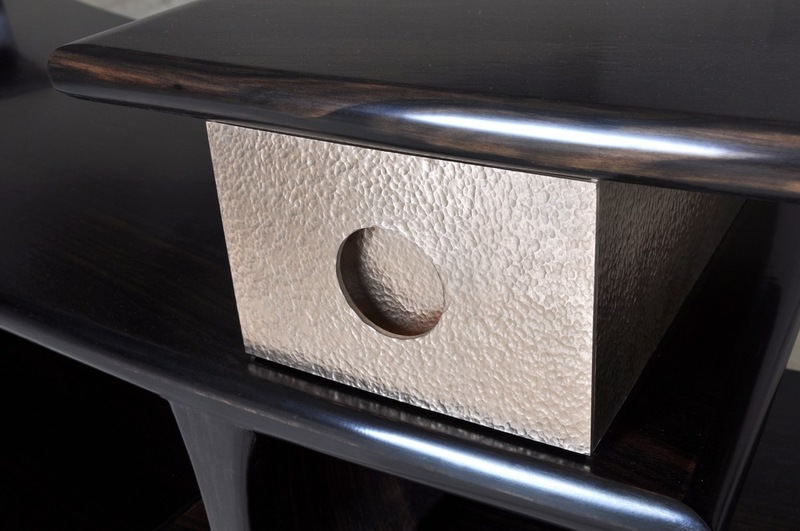 The console features hand hammered bronze drawer boxes and doors surrounded by ebony wood shelving. Private Residence Palm Springs.